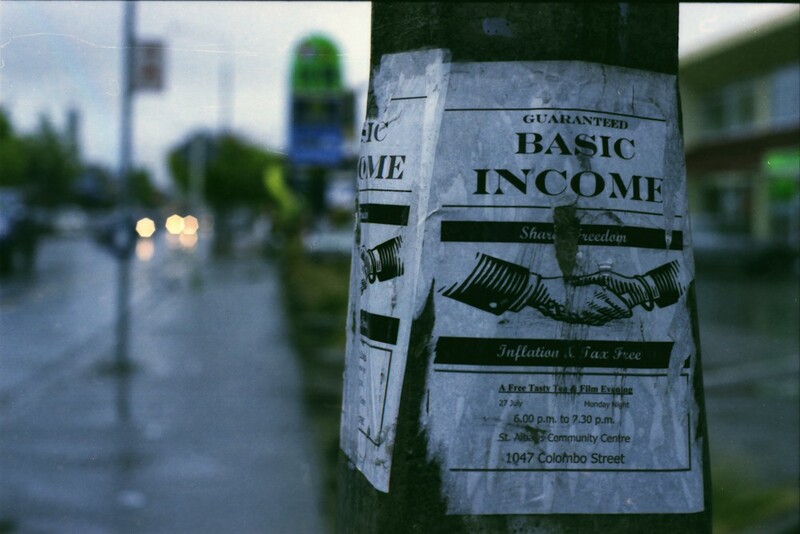 In the 20 years since Brian asked me to write “The Money-Making Ethic” for Chronogram, I’ve published several books and dozens of articles on Universal Basic Income (UBI)—a policy that would provide a regular lifetime income, large enough to live on for everyone without a work requirement or any other strings attached. This policy would effectively make “work” optional for everyone. This article doesn’t mention UBI directly, but it addresses one of the arguments most commonly used against it: that it supposedly violates the “work ethic,” which is usually portrayed as some belief that everyone should “work” for what they get. But we have no work ethic in this country or any other country I know of. We have a money-making ethic that rich people can satisfy just by owning investments—whether they created those investments or not. Everyone else can only satisfy it by getting a job, which means finding somebody with more money and doing what they say for 40 hours per week (or more). I support UBI in part because if we’re not holding everyone to a real work ethic, we have no business holding anyone to a work ethic. Do you think the world would be a better place if people spent more time making money? Sounds silly when you say it like that, but that belief is strongly propagated in our society. Of course, you don't hear it said that way—you hear it said that people need to learn "the value of hard work," but we all know what that means. There are other definitions of work, such as toll, effort, and production, but when people in our society say "work," they usually mean "time spent making money." All other time doing anything else then is "leisure." Our society's work ethic amounts to a "money-making ethic." We venerate work and denigrate leisure. We value time spent making money as if work represents our entire contribution to society; as if work is what gives our lives meaning; as if work is who we are. Art and science, for example, were once considered leisure activities, but now they have become completely professionalized and people typically say that someone is not a real artist (or scientist, writer, athlete, or activist) unless they make money at it, as if the ultimate function of any human activity was to collect cash. People usually find themselves evaluated by their job (or by their spouse's job). We disrespect people who have low-paying or low•status jobs, even if they have some activity outside of work that gives meaning to their life, such as raising children, loving someone, or travel. A strong Individualist might not be bothered by this kind of disapproval, but most of us aren't that strong. When we think of work we usually think of doing something difficult and important. Maybe the vision of somebody turning a crank on a big machine comes to mind. When we think of leisure we think of someone who's goofing off. Maybe the vision of someone relaxing in a lawn chair sipping a soda comes to mind. But we need to free ourselves from this view, it's counterproductive. A job can be an important source of satisfaction for marry people, but not for everyone. Some work Is valuable, necessary, and a source of individual satisfaction, but some things we do in our leisure time are just as valuable, and often more so. It's true that some of the things we do in our off hours are a silly waste of time, but some things that make money are also a silly waste of time. We are used to equating the distinction between "work" and "leisure" with the distinction between "work" and "play," but this is misleading—many of the most Important moments in life are not work but cannot be called play neither. Imagine a single mother and fast-food employee who hates her job and loves her family. In her work time, she makes unhealthy food for people spending their leisure time at a fast-food restaurant. After work, she takes care of her children, visits her grandfather, and listens to a friend's problems. All of these activities are more important than selling greasy hamburgers. To her, "work" is only important if it makes these things possible. For most people failure at leisure can be far more destructive than failure at work could possibly be. Imagine a single father, also a fast-food employee, who hates his job and hates his family. He spends his leisure time getting drunk and neglecting his children. He ignores his friends and his parents when they need help with a problem. If he fails at work people don't get their unhealthy food as fast as they want, but if he fails at home he can seriously hurt his family and himself. Einstein discovered the theory of relativity while goofing off from his job as a patent clerk. The only recent effort to reconsider the work ethic has come from feminists who have attempted to redefine work as "time spent making money plus time spent raising children." But this does not go far enough because it leaves in place the basic premise that work is how we should evaluate people. We need to realize that raising children is only one of many important activities that doesn't make money, and that marry activities that do make money aren't really all that important. We don't need to redefine work, we need to dump the work ethic. If work were defined as toil, effort, or production, then certainly raising children would qualify more than many money-making activities, but the most important part of raising a child is not the toil but the love. Imagine a parent who is available for her children 24 hours a day, to love them, to read to them, to teach them, and to console them when the are sick, but pays someone else to cook and clean for them. Imagine another parent who cooks and cleans for her children, but tries to pay someone else to love them. The work ethic screws up our priorities because it ignores the fact that the function of work is to serve us in our leisure time. For example. imagine a carpenter who builds a house. The reason this act is a contribution to society is because it will be used in leisure: When she finishes the house someone will live in it, play in it, sleep in it, make love in it, make dinner in it. The satisfaction she gets from a job well done is not from her toil but from the use that people get out using what she builds. Imagine another carpenter who toils just as hard, but builds something that no one wants, and that just gets thrown out when she's done. Her satisfaction of a job well done disappears. She may enjoy the act of building, but building for the pure joy of building is leisure, and it's only worth doing if she enjoys it more than any other leisure activity. The product of all work, directly or indirectly, is consumed by someone during their leisure time. It doesn't matter if the carpenter builds a house or an office building, you can trace the results to consumption. We use work as an approximation for well spent time, but praising the act of making money is a poor substitute for praising well spent time. Work is only as good or as bad as the leisure it serves: For every person who spends their off hours getting drunk, there is a person who spends their work hours selling drinks, encouraging other people to buy cigarettes, or feeding people's sexual fetishes. We do not need to glorify the act of making money as if all work was well spent time and all leisure was wasted time. We do need to consider what activities are important to us and what work is necessary to support those activities. A society that evaluates people by their work is very far from a society that evaluates people by their contribution to society. Van Gogh's "work" was coal mining; he painted in his free time. Emily Dickinson never "worked" a day in her life. Einstein discovered the theory of relativity while goofing off from his job as a patent clerk. Of course, all these three contributions did make money for somebody eventually if not for the person who created them. But take my grandfather Instead. He was the only custom shirt maker in Chicago from 1929 until about 1976. He built a business and sold custom shirts to wealthy people including Al Capone. People said he was successful. He had a lot of money saved by the time he retired. About that time, his wife contracted Alzheimer's Disease. He took care of her as long as he could, and when she finally had to be put into a nursing home, he got an apartment nearby so that he could sit with her every day. When she woke up not knowing where she was. he was there to comfort her. This went on for eight years before she died. If he hadn't sat with her every day her last conscious moments would have been lonely and frightening. This was my grandfather's most important contribution to society. If he had not gone to work every day, Al Capone would have had to buy his shirts off the rack. It was not his work that made him an honorable person. No one would dare accuse him of "working" when he sat with his wife. This would have implied that he was there out of a sense of responsibility or guilt rather than love. Caring for other people is not work: it's far more important. If we make work the centerpiece of our self-esteem it will become the most important thing in our lives. If we think of work as who we are, it is in danger of becoming all we are. I do my job; you do your job; my computer does its job. We all do our part; that's all there is to it; and we never need to stop and ask ourselves what we work for. But, ultimately what we work for is what's important, not work itself. A society that values the effort we put into producing things more than we value the use of those things can find itself working and working and working to produce things that don't make our lives better.